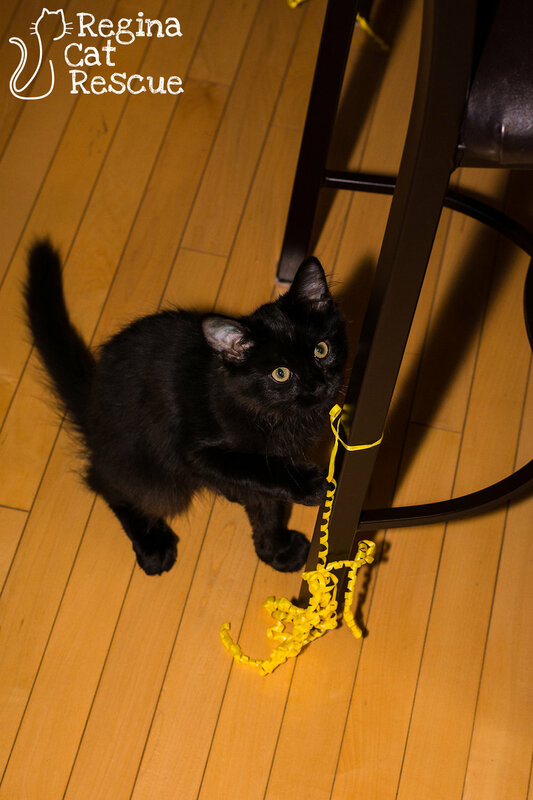 Alfie is an adorable and charming kitten who was rescued from the streets along with his siblings early in the spring. RCR volunteers knew they weren't meant for the street life and they were placed into foster care where they thrived. Alfie is the smallest of the trio, and has black shiny fur. He's a very affectionate kitten, particularly in the evenings when the household relaxes. Alfie is more cautious than his siblings and can be shy around strangers, but he is very loving once he warms up. He especially likes gentle massages around his head and face, under the chin and along his backbone. Alfie would love to be adopted with one or both of of his siblngs, Elvis and Presli. 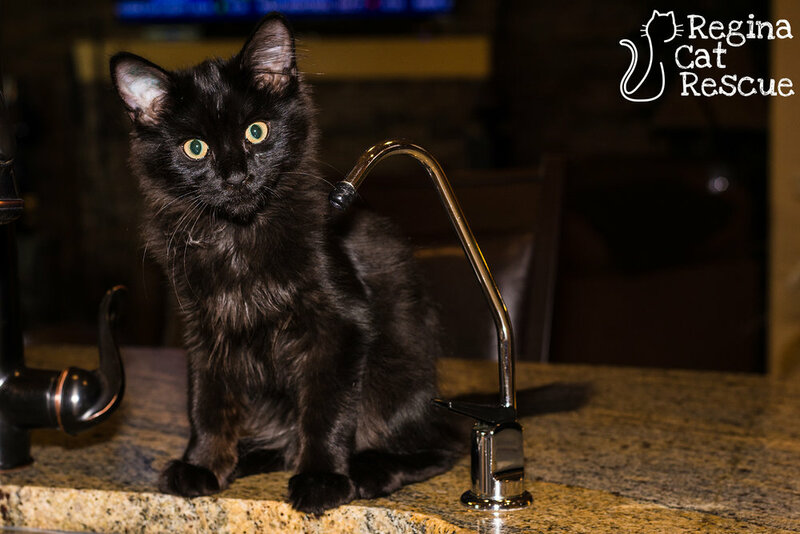 If you are interested in Alfie, click here to view our adoption contract and click here to complete an adoption application or email the RCR Adoption Coordinator at adoptions@reginacatrescue.com for more info.